Matek is innovating again. 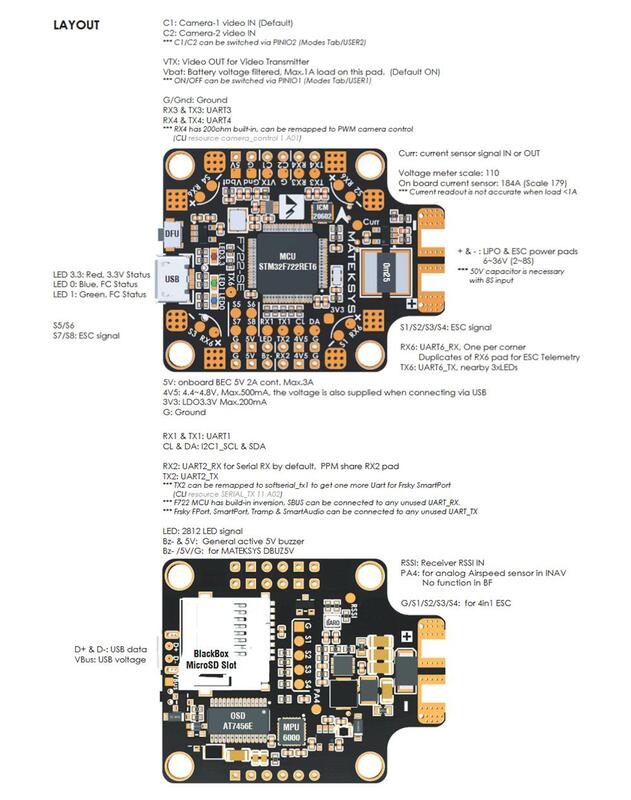 This time it came with F722-SE flight controller powered with F7 MCU and featuring dual MPU6000 & ICM20602 gyros that are connected via fast SPI bus, BMP280 Barometer, OSD, 5x Uarts, 8 PWM/Dshot/Proshot/Oneshot outputs, I2C port, 4xRX6 pads for ESC telemetry, solder pads in the corners for individual ESC’s and separate solder pads for 4-in-1 ESCs , voltage and current sensors. The main innovative feature of this Flight Controller is switchable Dual Camera video inputs, controlable via AUX channel. FC also has filtered Vbat power output for VTX that can also be switched on-off via AUX channel. 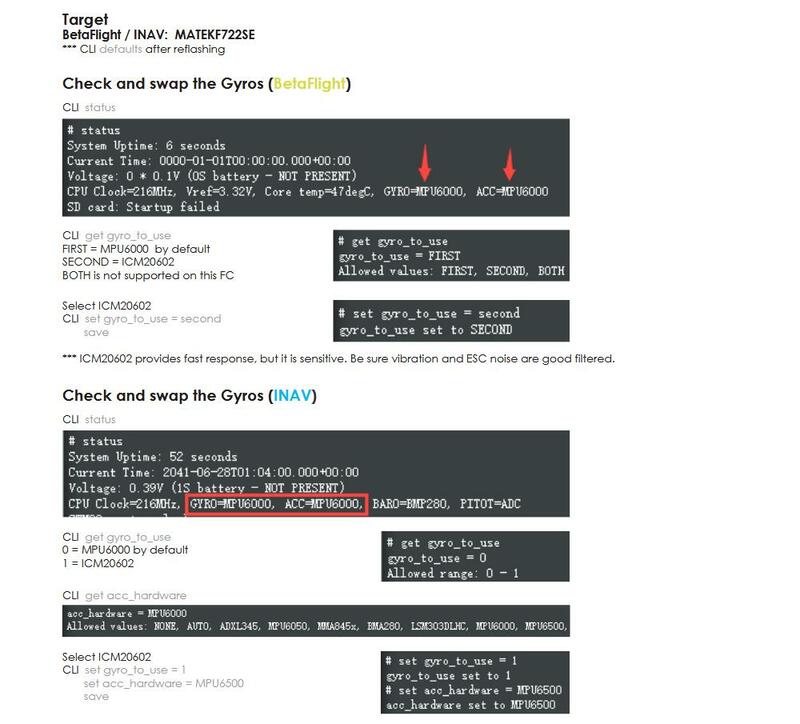 Both gyros cannot be used simultaneously – user must select one gyro to use in the Betaflight CLI.